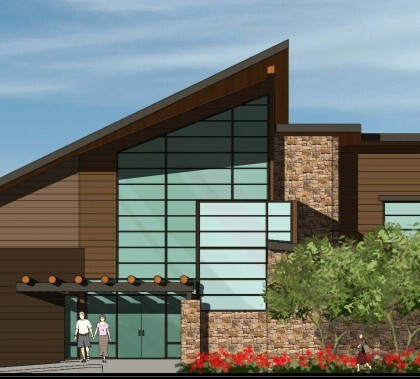 The busy-ness in the Colangelo College of Business has been noticeable this fall — new dean, new name, new initiatives. 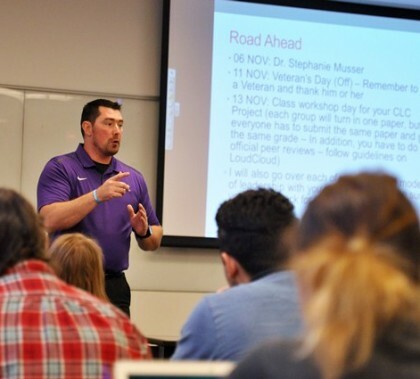 Jesse Stewart, an adjunct servant leadership professor for Grand Canyon University’s Colangelo College of Business, tends to reflect on the memories of fallen friends on Veterans Day. 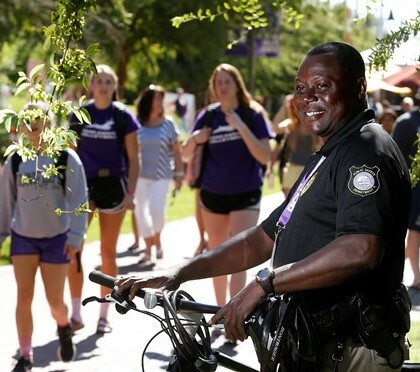 The former U.S. Army Ranger retired at 32 and has found his calling as a mentor of future business men and women at GCU. Nearly 2,500 high school students from across Arizona descended onto the campus of Grand Canyon University today for the 29th annual Health Sciences & Nursing Day. With a theme of “Who are you in Health Care?” the event provided opportunities for students to learn about careers in fields as diverse as athletic training, emergency room nursing, missionary medicine and crime-scene investigations. 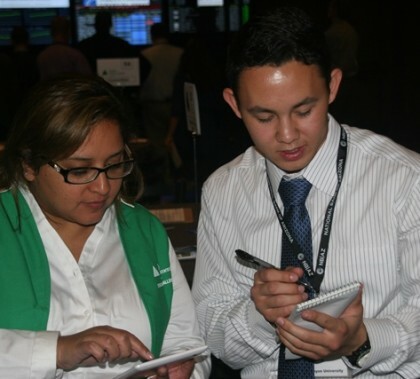 Eight GCU business students participated Thursday night in Junior Achievement of Arizona’s Stock Market Challenge and got valuable insights into the business of buying and selling. Their enthusiasm was infectious, and one of them was so taken by the experience he said it confirmed his belief that this is his future. 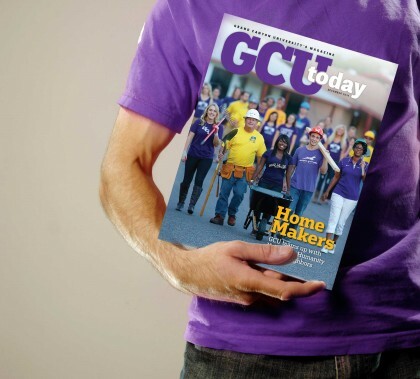 GCU Today has the story. 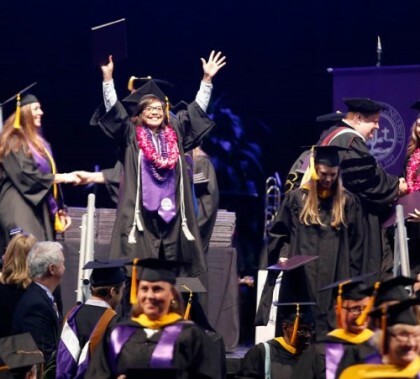 Grand Canyon University’s non-traditional commencement ceremony returned to campus and to the more spacious GCU Arena on Saturday. The extra seats were a blessing as family members and friends of nearly 1,900 online students for morning and afternoon ceremonies. 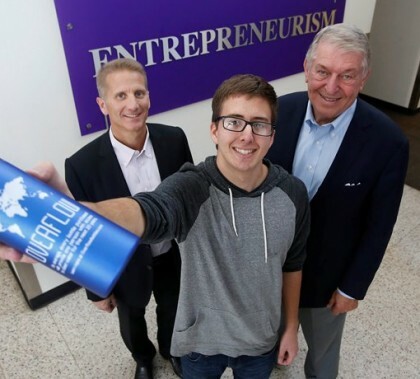 Colangelo College of Business students got some valuable insights Monday from three local entrepreneurs representing the Camelback Society, a group of Christian businessmen. In the first meeting of the Dean’s Speaker Series, the businessmen shared their wit and wisdom while explaining how they became successful in their startups.